The coach of Bayern Munich says he's been left impressed by the form of both players who had looked set to leave the German champions. 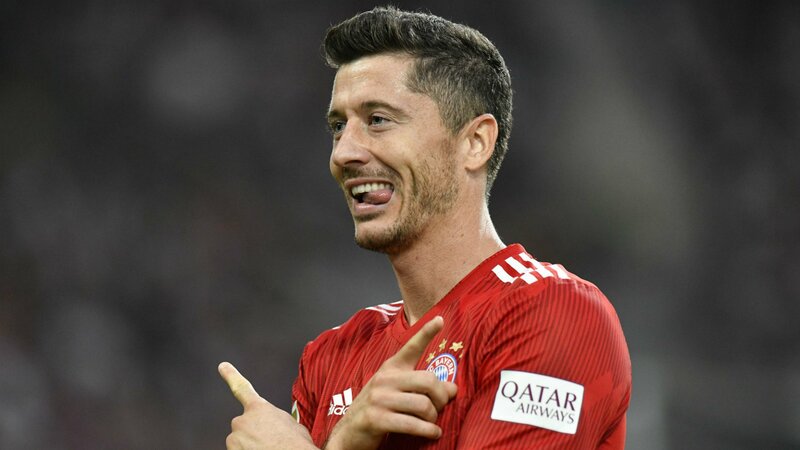 Lewandowski had been rumoured to be the one to replace Ronaldo at Real Madrid and Manchester United has wanted Jerome Boateng to help solve their defensive crisis. Yet, none of deals happened and the players had to go back to playing for their club. Kovac is happy that the players have put that behind them and are now focused on playing for their club. They currently boast a perfect start to the it league campaign. Also coming in for praises is James Rodriguez which has been in good form for Bayern. The midfielder has been showing his quality and was present to score them second of Bayern's goals in the 2-0 win over Schalke. The coach was speaking at a media conference ahead of the game against Augsburg. A win would see them with fifteen points having won their last four games.